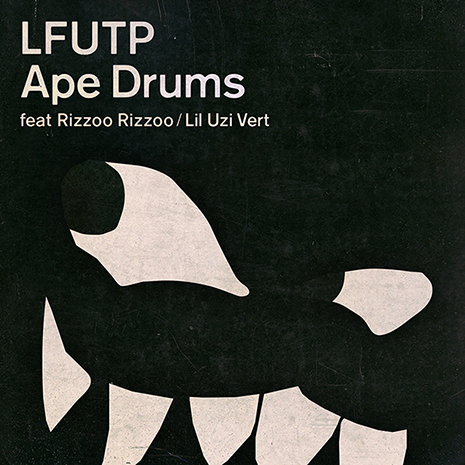 Ape Drums lives up to his namesake with the gorilla-in-the-trunk bump of Fool’s Gold single “LFUTP.” The bad bwoy DJ and in-demand collaborator returns to his Houston hometown for this raucous jam featuring Texas MC Rizzoo Rizzoo and reigning rap upstart Lil Uzi Vert. Party tested at Ape Drums shows around the globe, “LFUTP” deserves nothing less than to be played at maximum volume while driving through a residential neighborhood. Sleeve by Uncle & Prophet.